I had the great opportunity to see Miriam Toews read and speak last night as part of the Ottawa International Writers Festival. If you know me at all, you know that she is one of my absolute favourite authors and her books will likely be the ones I will put in your hands first if you ask me for a recommendation. Her latest book, Women Talking, is such an important one. We currently have a couple of signed copies here in stock if you too would like to jump into the world of Miriam Toews. Whether you’ve never read anything by her before or you’ve read everything she’s written so far, this one needs to be on your shelf! The women have had unimaginable horrors happen to them. They have figured out that they and many of their children have been drugged unconscious and raped by some of the men from their colony. These men (some of whom were relatives) have been temporarily exiled to a prison in a nearby city, the women left behind to quickly plot their next move while the other men in the town are busy gathering bail money to free the accused. The women have come up with three choices if they choose not to forgive their perpetrators upon their return, as decreed by the colony’s shifty bishop. They have determined that they can do nothing, they can stay and fight, or they can leave. So eight fiery women from the colony secretly gather in a hayloft and ask a local man they trust, August, a teacher who has been rebuked by the other men, to take minutes of their meetings, as they are all illiterate and want a record of their discussion. The women in this particular settlement have grown up under an extreme patriarchal system, serving their men, believing their men and blindly following the rules of their faith. This way of life is all they have ever known and they have never questioned it. It took this drastic, horrible fallout to make them start to find their voices, to question their beliefs and to formulate a plan. Every second counts, as there are massive life-changing decisions to be made, each path leading directly to a wildly unclear outcome that must be decided upon in just two short days. 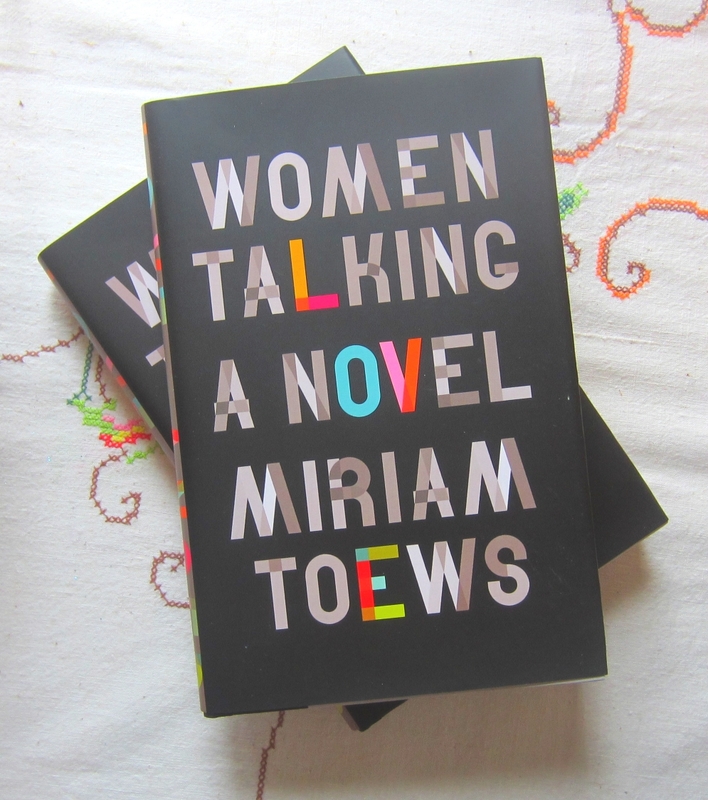 These women have been torn down, but in Miriam Toews’ own magical way, she bestows them all with raw, relatable humanity tempered with feisty humour. They are equally tense and intense. The women are so new at voicing their own opinions that each one is almost overboard with enthusiasm and passion. They all want to have the last word, the last jab. They want to form a united plan, yet in doing so, they have to overcome differences in opinion and each one wants to be right. They must reign in their tension in order to benefit as a whole. One of the main sources of this overwhelming tension is the women’s natural instincts to protect themselves and that of their faith (faith not only in their god but also in their men who have always told them what to do). Their discussion ricochets around the many different ways that religion and authority can be interpreted and distorted to best suit and work to their advantage. The women are feisty, argumentative, loving and exasperated, but they’re all trying to form a cohesive plan of action. There are so many angles, so many considerations, so many questions for these simple women who are not so simple after all. They are women talking, but there is so very much more to each one of them than words could ever express.